Welcome to the reintroduction of the MarketAxess brand - the world’s foremost bond and credit market platform. It took us exactly 3 months to go from concept stage to launch, including original creative filmed and photographed in six countries. The core idea. MarketAxess introduced an Open Trading platform allowing investors, brokers and traders alike to trade directly and anonymously with each other driving up the velocity and efficiency while improving the pricing. Our positioning was simple: We created Open Trading. You created the Open Market. We gave the investing community their share of the credit for using MarketAxess’ tool to create a highly functional and successful Open Market. Results: After two weeks remarkable results came back. Numbers we've never seen before. For instance, average time spent on our landing pages measured 173% above the norm - we're talking well above 4 minutes. The average click-through rates on paid display, showed results above 50% and 85% of landing page visitors went on to explore the MarketAxess website. We filmed in Tokyo, Berlin, Hamburg, Amsterdam, Paris, London and New York City. Because of the extreme time pressure, we ended up shooting guerrilla style with few permits. 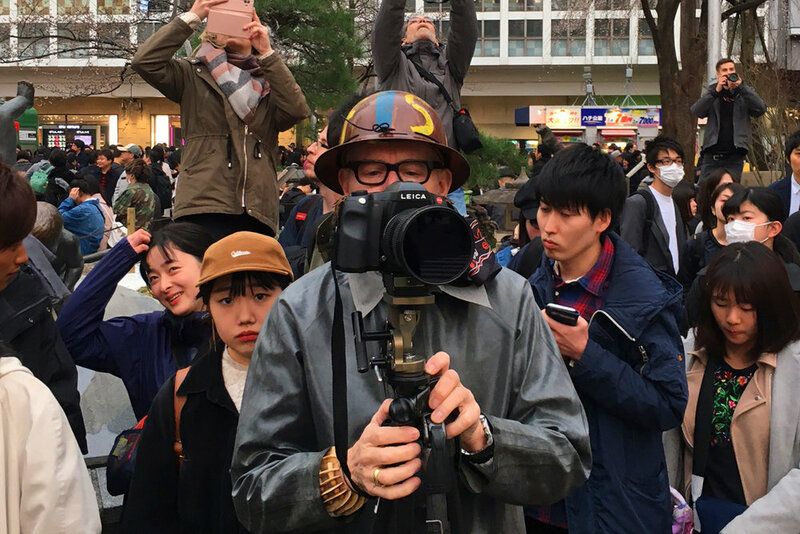 Above you see filmmaker: Ivo von Renner wearing special clothes to stand out. The philosophy being, if authorities try to question the production, they’ll speak to him first, thereby giving the rolling camera extra seconds to finish the shot or scene. It worked.